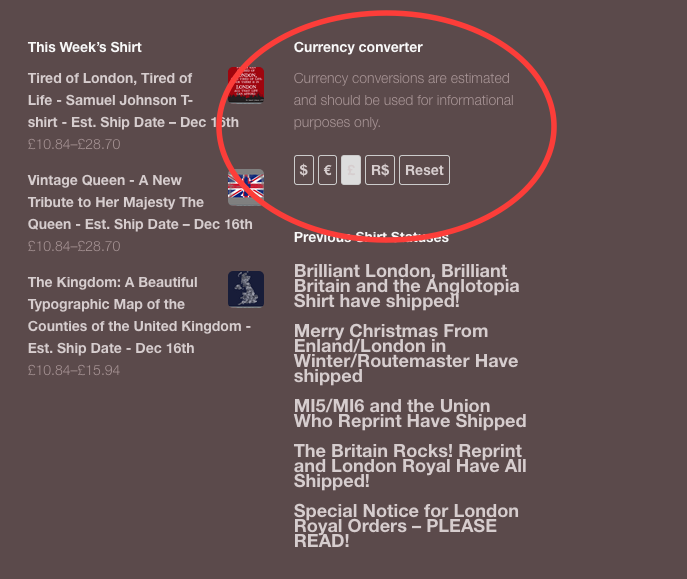 We’ve added a small functionality to the site that our international customers may find useful. We’ve installed a widget that allows you to swtich the prices to your local currency. Currently we have it set up for the most popular places we receive orders from: British Pound, Australian Dollar, Canadian Dollar, Euro and the Brazilian Real. This covers most of our international orders. You need to toggle the currency at the bottom of the page. We’ll see how this new functionality is used and if we get enough requests for other currencies, we’ll add them. Previous post: Black Friday Coupon Details and the Remainder Sale is ON!